True authority on a matter comes from both experience and respect, and these are the underlying foundations on which Wohlers Associates, Inc. has built up over the last three decades. The organization has long been recognized as a leading resource in 3D printing, with founder and president Terry Wohlers known as an uncontested expert in additive manufacturing. The team at Wohlers Associates dedicates their time both to consulting projects for client companies and to participating in industry events and creating resources including the Wohlers Report. In addition, the team frequently gains direct insights from companies involved in the additive manufacturing industry by visiting sites around the world. Wohlers has spoken at events from Seoul to Varel, and 3DPrint.com has had the pleasure of encountering Terry Wohlers in a few countries and cities — in 2016 alone, I saw him in Barcelona to learn about the MJF 3D printing system from HP, in Frankfurt attending formnext, in Wohlers’ native Colorado visiting 3D Systems’ healthcare facility, and at various Inside 3D Printing conferences, where he regularly delivers insightful keynotes regarding the state of the industry. Wohlers’ vast experience and connections right to the sources of the biggest happenings in additive manufacturing form the basis for highly informed analysis of and predictions for the industry. He is one of the principal authors of the Wohlers Report, the 2017 version of which has just been released this week. As we see with each annual edition of the Wohlers Report, high anticipation preceded its release; the Report is commonly referred to as ‘the bible of the 3D printing industry’ which, while perhaps hyperbolic, underscores the esteem with which it, and its creators, are held. Along with Terry Wohlers, principal authors for the 2017 Report include Associate Consultants Ian Campbell, Olaf Diegel, and Joseph Kowen. “It would not have been possible to produce it without them. They are central to our network of colleagues and contacts—the largest and most developed, we believe, in the AM industry,” said Wohlers of the authors’ valued contributions. That network includes an expansive array of contributors coming together in the creation of this year’s Report. Associate authors include Ismail Fidan and David Bourell. Full contribution credits span 31 countries, as 76 experts and organizations contributed to and served as information sources for this year’s Report. 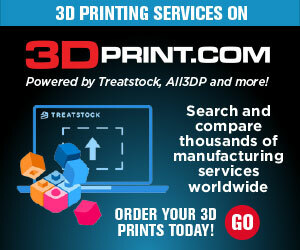 (Several of these experts may be familiar as contributors to 3DPrint.com and names we see frequently in the industry.) Beyond this, information was sourced directly from the industry as 100 service providers, 61 industrial system manufacturers, and 19 producers of third-party materials and low-cost desktop 3D printers were noted as having provided input. While year-over-year revenues have slowed since those presented in the 2016 Report, global growth of 17.4% is still a double-digit rate not seen in many other manufacturing fields. (Growth in 2015 was recorded at 25.9%.) Excluding, however, the two largest system manufacturers in the field — which both saw declines, and which together account for $1.31 billion of the overall $6.063 billion industry — that growth would be a still-slower-but-notably-different 24.9% for the year. That competition is picking up in the industry is undisputed, as many industry experts are noting, several while speaking at the same events as Wohlers; what remains to be seen is how some high-profile moves from other major companies will reshape growth and prospects. These broad strokes are only a bare glimpse into what Wohlers Report 2017 presents, as those 344 pages are full of in-depth analysis touching on history, applications, materials, processes, and equipment manufacturers, covering R&D, investment, and activities in government, academia, and industry. Prior to my work with 3DPrint.com, I worked for six years in industry research and forecasting, editing hundreds of research reports and authoring several myself that covered a broad range of industries. The depth and focus presented in the Wohlers Report extends far beyond the norm in such reports, offering a keen look directly into the heart of the matter. The experienced team Wohlers Associates worked with in compiling this year’s Report goes well past that seen in other documentations and forecasting associations, as the direct insight from the ground up offers an uncontested expertise. In addition to my previous work in market research, I also have a background in the theatre and interactive performance. If there’s one thing I learned above all others in my time working outdoor festivals, it was simply: The village makes the king. Anyone can walk around in a crown and call himself a king, but it isn’t until he receives the respect of the villagers that the title holds any weight. In the case of the Wohlers Report, we see the village that is the 3D printing industry rallying around this banner, highlighting it as the leading resource that it truly is. Terry Wohlers will be presenting a keynote next month at RAPID + TCT, where he will again share his expertise with the crowd, and 3DPrint.com will be present and paying rapt attention. You can order the Wohlers Report 2017 here from Wohlers Associates. Discuss in the Wohlers Report forum at 3DPB.com.